Zellweger, Uster, developed their "Mobile Light 40" / "Fahrbar Leicht" shortwave station in 1940, this station came into service 1941/47. 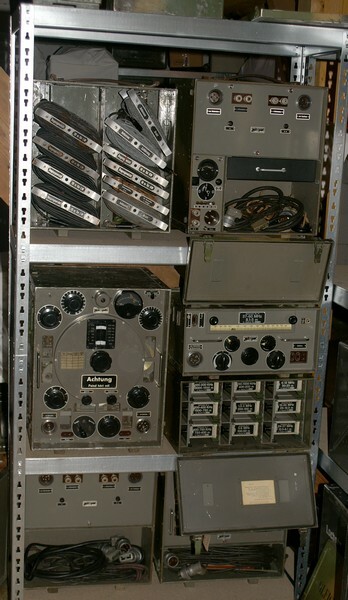 All components of this station, specially the transmitter Fl S / S-300, the all wave receiver 41, the rectifier and the inverter were used in various wireless stations, some of them motorised. The original FL40 on it's trailer got the SE-300 designation after 1951. In 1938, the Swiss Army called for offers for a mobile wireless station, as the early Swiss military wireless stations came on a limber, this was in the specifications for this new station, too. Offers came from C. Lorenz AG, from Telefunken Zurich and also from the small Swiss company Zellweger, Uster. The later proved very good results in trials, so after a very hard effort, the first production run of stations could be put in service in 1940/1. 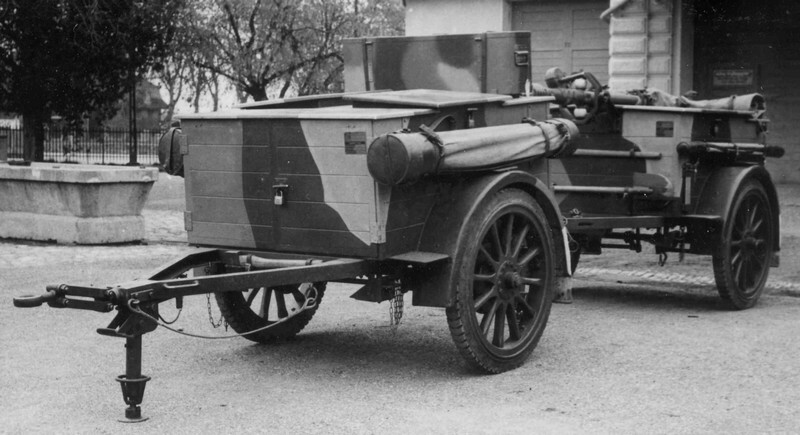 The newly developed transmitter was not only installed on a trailer - this arrangement got the designation "Fahrbar Leicht 40 / FL 40" - but also as "Tragbar Schwer / TS 40" (portable heavy wireless station), on a truck as replacement of the longwave / shortwave station Telefunken ("Kurz - Lang 43 / KL43") and as motorized wireless station 44 ("M44"). The famous all wave receiver "Uster" / E41 was used as standard receiver to replace older equipment on several high power stations, until it was later replaced by the Autophon E-627. The receiver of the wireless station FL40 was the Receiver Uster E41, a single / partly double conversion receiver with battery valves and coil sets for the different wavebands as found in the National HRO. For shortwaves, the FL40 uses a telescopic mast attached to the "apparatus trailer", a seven parts mast made from plugged elements or a L antenna erected between two 10 m poles, for longwaves, the latter antenna arrangement is used, too. The FL 40 has been faded out in 1961 and has been replaced by the famed Zellweger SE-222 set.